Thank you Homebrewers and Brew enthusiasts! 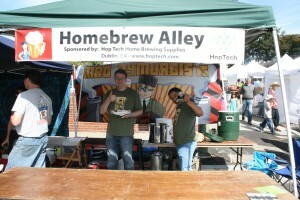 The 2018 HopTech Homebrewers’ Alley featured the host homebrew club, the Mad Zymurgists, along with other local clubs including D.O.Z.E., Bay Area Mashers, and others from around the East Bay. Stop by for interactive beer making demonstrations, and talks from experts helping to educate both novice and experienced beer makers. Stay tuned for Octoberfest 2019 to roll whole hops in your hand, taste malted barley, and do other things so cool, it’s illegal for us to advertise. Have you always wanted to brew your very own beer? Do you know where to begin? Do you have questions about the process? 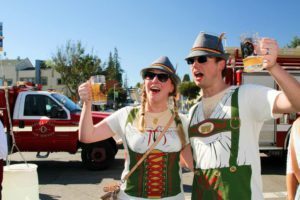 Oaktoberfest, in conjunction with the Mad Zymurgist, and the California Beer Society is proud to present The HopTech HomeBrewers’ Alley tour. Join us in front of the Brewers BBQ tent at 2pm sharp for a guided tour into the world of home brewing. Come learn about the art and passion of creating your very own brews and truly supporting your craft.